I use essential oils every day for various purposes, and while they definitely aren't a necessity they do come in handy for a number of uses. Essential oils are a natural form of fragrance in many products, including soaps, cosmetics, cleaning products, incense, and perfumes. Because they are derived from plant sources, they are a wonderful alternative to artificial fragrances, derived from chemicals, which, according to research by the Environmental Working Group, have been found to be harmful to human health. 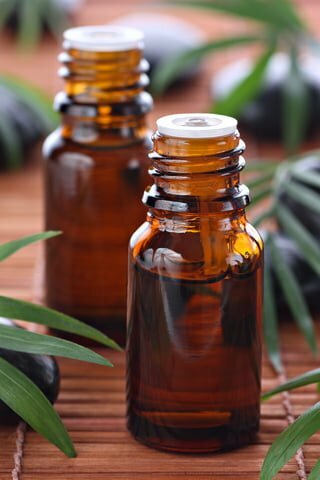 In addition to being used as fragrance in everyday products, essential oils also serve many therapeutic purposes, and can help with conditions ranging from insomnia, headache, and irritability to sunburn, wounds, and toothache. Essential oils can also be used as natural healing agents for those seeking everything from a decongestant or astringent to an anti-depressant or anti-anxiety remedy. Several methods are used for extracting essential oils from plants, including steam and hydro distillation, carbon dioxide distillation, and cold pressing. Different plants will benefit from different extraction processes. Therefore, there is not one process that is the best over the others. Using the purest oils will provide the highest level of benefits, especially if you are planning on using these oils in aromatherapy or for other medicinal uses. If you're using the oils for cleaning, you can probably get away with using a lower quality oil without noticing much of a difference. It's good to learn the difference so you can make the safest – and most cost effective – choices when you're using essential oils. Essential oil quality: what's the difference? Low quality or adulterated oils, will provide minimal benefits along with the potential for unwanted side effects. The essential oil quality can be compromised if the plants from which they are derived are grown under the wrong conditions, such as in poor soil, or if pesticides and other chemicals are used on the plants while they are growing. In addition, many essential oils are sensitive to environmental conditions, such as heat, light, and oxygen, which can degrade them during distribution, storage, and while they are sitting on a store shelf. Read labels, ask questions, and buy from reputable sources to ensure you are getting the best value for your money, as well as the most benefits possible from the essential oils that are meant for healing purposes. It's really up to YOU, as there isn't much regulation for essential oils in the United States. Keep in mind that, though price is not always indicative of the essential oil quality, vendors who have spent money on testing the quality of oils and who have put the time into finding the right sources for the oils they sell may very well charge you more, unlike vendors who get their oils from the cheapest sources and can then resell them at lower prices. For the highest essential oil quality, organic oils are best. Also, look for 100% pure essential oils that have not been mixed with other oils or altered in another way. If you can't shell out the cash for organic, however, I still think the benefits of using essential oils versus artificial medicines or personal care products are significant. Also, many herbs used to make essential oils are grown “organically” without the organic certification simply because they have natural pest-resistant qualities. So don't let this one factor stop you! Not everyone will agree with me on this, by the way. Purchase oils that are labeled with important information, including the oil’s botanical Latin name, country of origin, and method of extraction. Keep in mind that there are many different forms of certain flowers, such as lavender, chamomile, and many others, so you want to get the Latin name to ensure you are getting the exact essential oil you need for your therapeutic purposes. Make sure the oils are bottled properly, including not having any dust on them. Bottles that have sat too long on a shelf will probably contain oils that have become damaged from heat, oxidation, or even from simply being there too long and losing potency over time. In addition, essential oils should be stored in dark glass bottles, so if you receive your oils in clear glass or plastic bottles, be sure to transfer them to preserve them. Do not be fooled by misleading terminology, such as “therapeutic grade” or “aromatherapy grade,” because there are no regulating bodies that inspect and analyze these products. Terms that tell you an oil is not pure include “perfume oil” and “fragrance oil,” so be sure to stay away from products with these words on their labels. It may be difficult at first to find the most pure essential oils for your needs, but once you find the brands that you can trust, it is easy to continue giving your business to them, since you have already discovered that they are reputable sources for oils. Just make sure that you always check labels and ask a lot of questions, to make sure that the vendors and brands you choose are knowledgeable and honest about their products and that they will continue using only the highest quality oils available. I've purchased some essential oils that ended up not being pure. It's really annoying! There are a few brands that I've been happy with and continue to use. 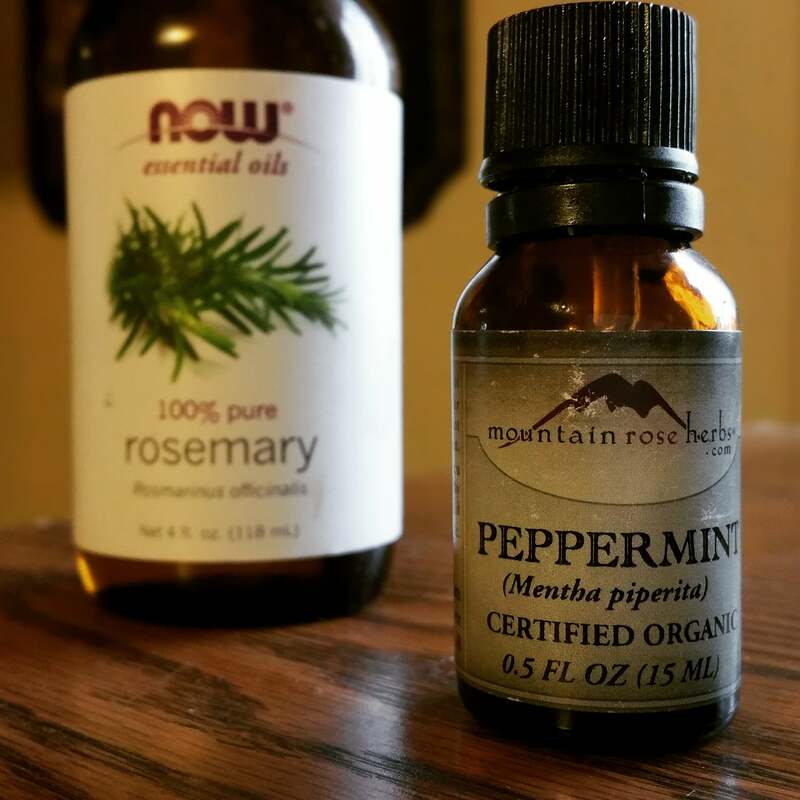 I don't really use the MLM oils, but I don't have anything against them – you can read more of my thoughts on MLM essential oils here. Aura Cacia – Love them! This is a more cost effective option, especially if you love using essential oils for many different purposes like me, and it's not as pricey as you'd think when you consider how much acne skincare stuff can cost sometimes. Now foods – I've always been happy with this brand, too, and the price on them is great. I also really like their carrier oils. I buy them on Amazon as well. 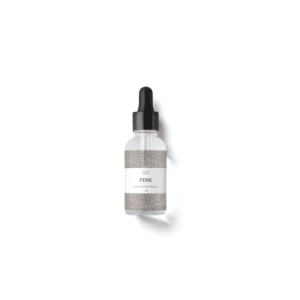 Starwest Botanicals – The quality of everything I've gotten from Starwest Botanicals is unmatched. I highly recommend them for everything from essential oils to straight herbs and other natural products. They have everything you could possibly need for natural care products whether you want them premade or but the ingredients to make your own. Plant Therapy – Another very trusted brand, these oils are available on Amazon. Please feel free to mention your favorite brands in the comments, as well – as well as those that have completely missed the mark! Can CBD cure what ails you? I love DoTerra essential oils. You can even ingest them. My kids love them and ask for them when they aren’t feeling well. I do not advise my readers to ingest essential oils. Those are some great tips! Its so important to do your research before buying essential oils. I also like to read customer reviews to learn about the experiences others have had with specific brands. Thanks for providing a resource with evidenced based facts. I currently am using Eden’s Gardens essential oils which I got off Amazon. I have wondered about differences in brand since they are not FDA regulated. I love Birch Hill Happenings. The owners Penny and Al have a lot of knowledge on how to use the oils. Thanks for the pointers! I’ve relied on two friends who swear by Young Living oils, so I’ve never really had to think about quality issues on my own. Found you through Green Moms Network, I can see I will be back to learn more from you! The best and purest I have found are from doterra. I have used many of them and been completely satisfied with the results. If anyone suffers from sinus congestion try one of their blends called “Breathe”. One drop of the oil rubbed on your neck will open your sinuses. I do not bother buying man-made pharmaceuticals any more. Thank you for the information, it is very helpful! I am just getting into essential oils and found what I think would be a great (and budget friendly) starter kit on Amazon. It’s by Edens Garden and the kit contains 7 of their top essential oils and 7 blends all for $39.90. I was wondering what you think of this starter set or if you can reccomend another at that price point? I’ve been trying to research Edens Garden and haven’t been able to find a lot of information or reviews on this company. I think the cost of this kit is great, but if the quality of their products isn’t great I obviously don’t want to waste my money. Any suggestions or feedback you can provide me would be greatly appreciated! Thanks in advance for your time! I really like their oils that I’ve tried, but I haven’t tried them all. I think it’s a great set for beginners! I would give it a shot, especially as you’re just getting started. You’ll find what plant oils you like best and use most often, then you can experiment with different brands of your favorites.